Lance Booth - lbooth@shawmedia.com From left to right, Kenley Spooner, Paul Judson and Phil Judson chat about stories of their IHSA state basketball championship for Alden-Hebron in 1952. Lance Booth - lbooth@shawmedia.com George Latham, the former Quincy basketball coach's house, had the starters from Alden-Hebron 1952 IHSA state championship over to discuss the 60th anniversary of the game. Alden-Hebron defeated Quincy for the IHSA state championship. Lance Booth - lbooth@shawmedia.com From left to right, Kenley Spooner, Paul Judson, Phil Judson and Bill Schulz are four of the starters for the Alden-Hebron 1952 basketball champions. 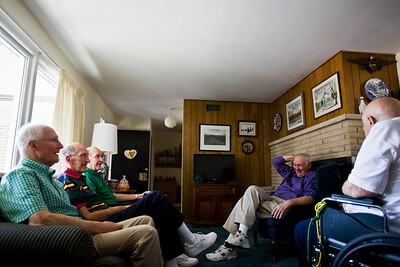 They all met up at George Latham, the former Quincy basketball coach's house. Alden-Hebron defeated Quincy for the IHSA state championship. Lance Booth - lbooth@shawmedia.com From left to right, Phil Judston, Kenley Spooner, Bill Schulz and Paul Judson are four of the starters for the Alden-Hebron 1952 basketball champions. 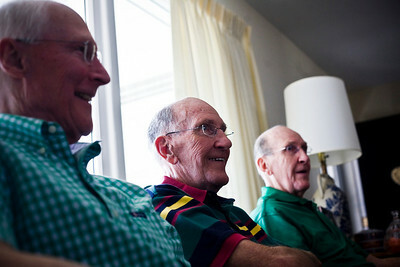 They all met up at George Latham, the former Quincy basketball coach's house. Alden-Hebron defeated Quincy for the IHSA state championship. 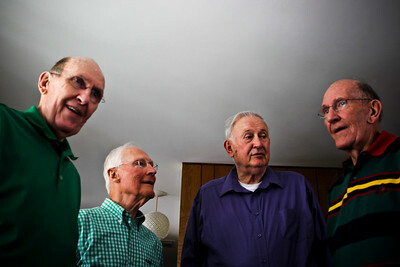 From left to right, Phil Judston, Kenley Spooner, Bill Schulz and Paul Judson are four of the starters for the Alden-Hebron 1952 basketball champions. 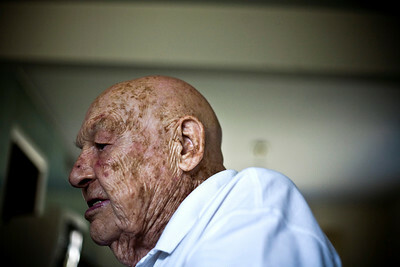 They all met up at George Latham, the former Quincy basketball coach's house. Alden-Hebron defeated Quincy for the IHSA state championship.